Two (2) Folk Art assemblages, including Webster, Jennings. 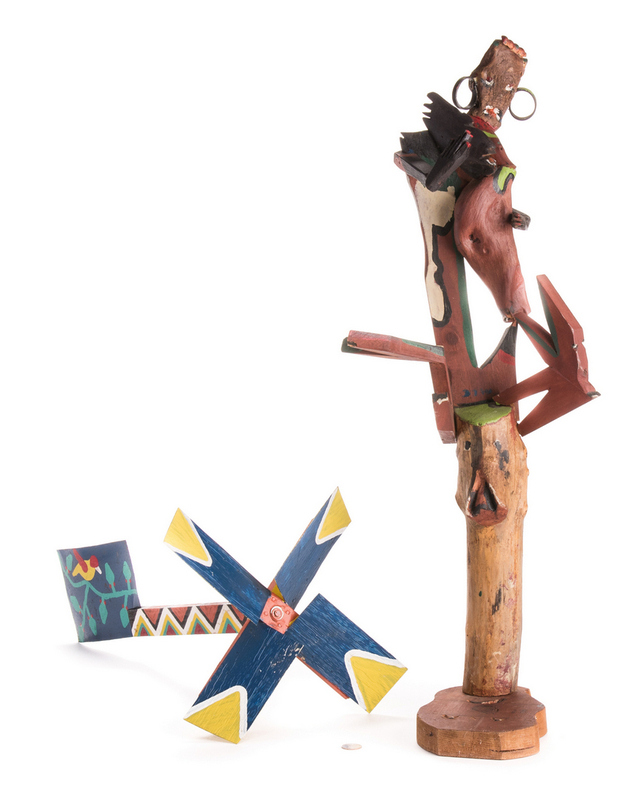 1st item: Derek Webster (United States, 1934-2009) mixed media assemblage titled African Lady on Deer Head. 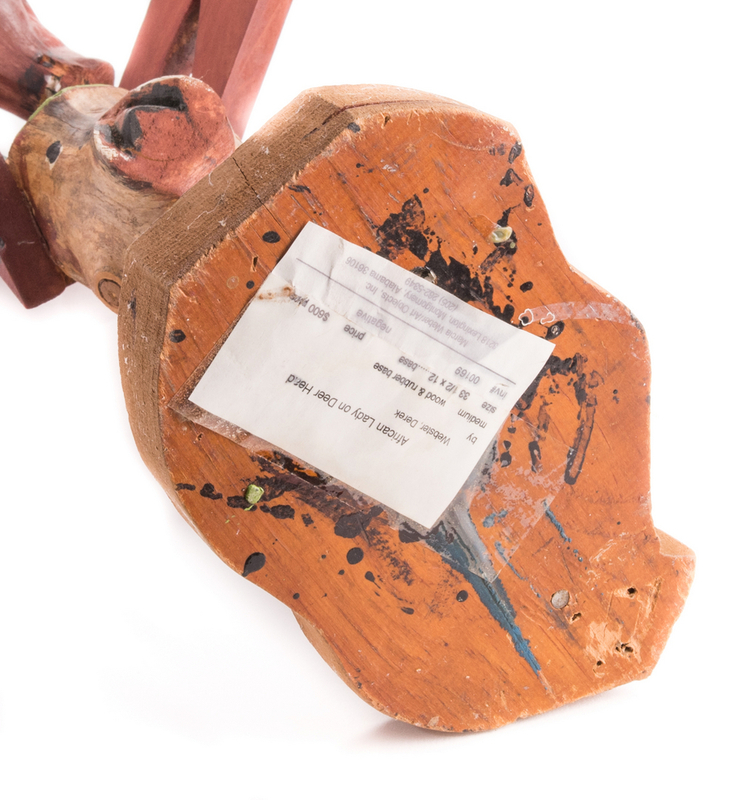 Signed DTW, center of assemblage with museum accession tag. 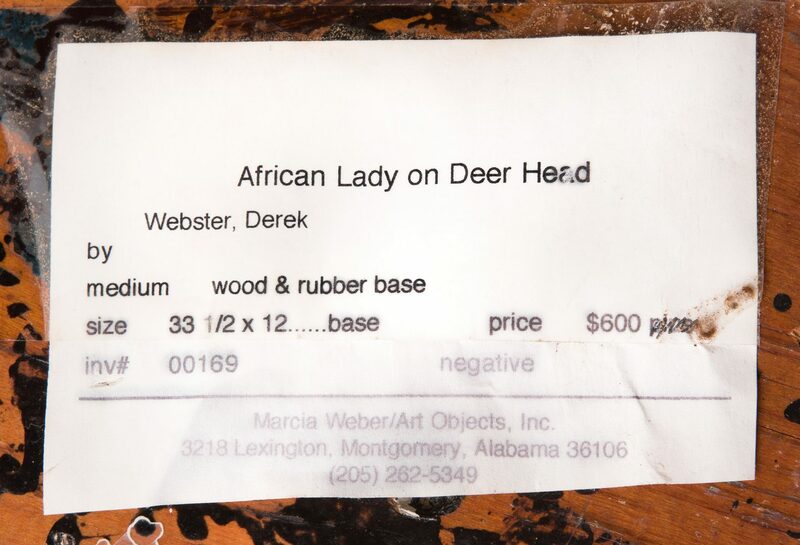 Marcia Webster/Art Objects, Inc., Montgomery, AL gallery label with artist's name and title, bottom of base. 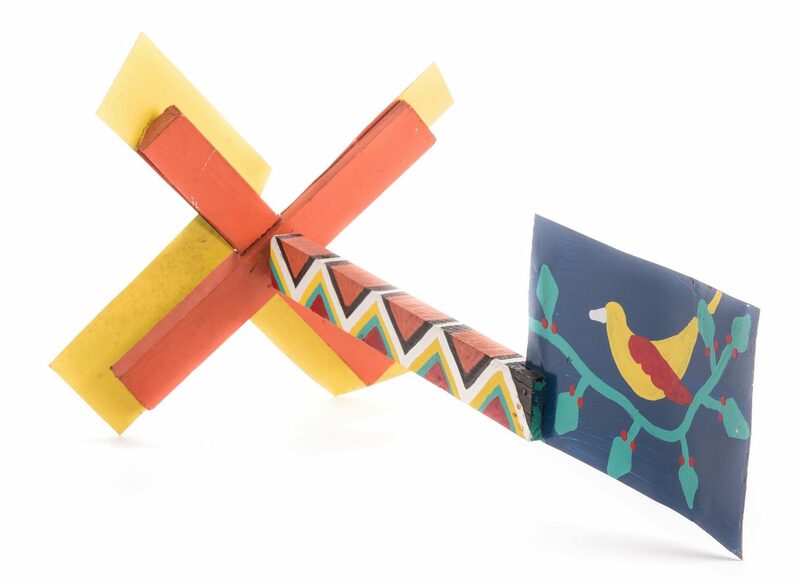 33" H x 12" W x 7" D. 2nd item: James Harold Jennings (North Carolina, 1931-1999) paint on wood assemblage Whirligig. Unsigned with museum accession tag. 24" H x 15" W x 15" D. Both items late 20th century. Provenance: Property of the Arts Center of Cannon County, Tennessee. CONDITION: Both items in overall good condition. 1st item: Assemblage loose at base.